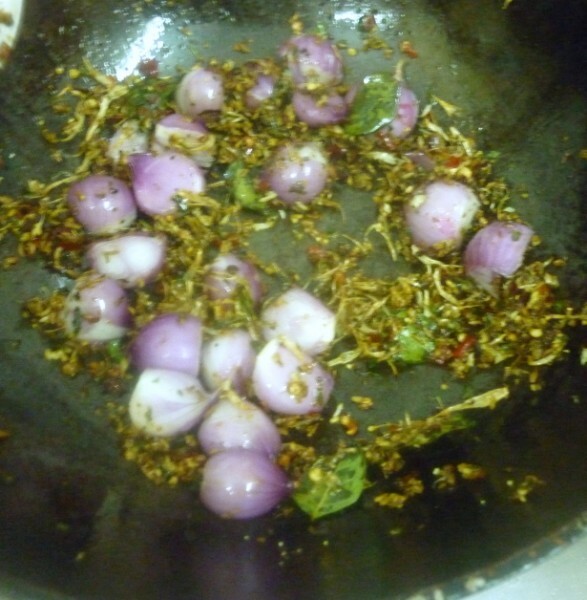 For the third day of cooking with Onions, I was lost wondering what to make, when I suddenly remembered my colleague once telling me that she used to make Onion rasam. Then I had another friend telling me the same and I always wanted to make it myself. Since I didn’t write down either of the recipe, I just went ahead making it my own way. 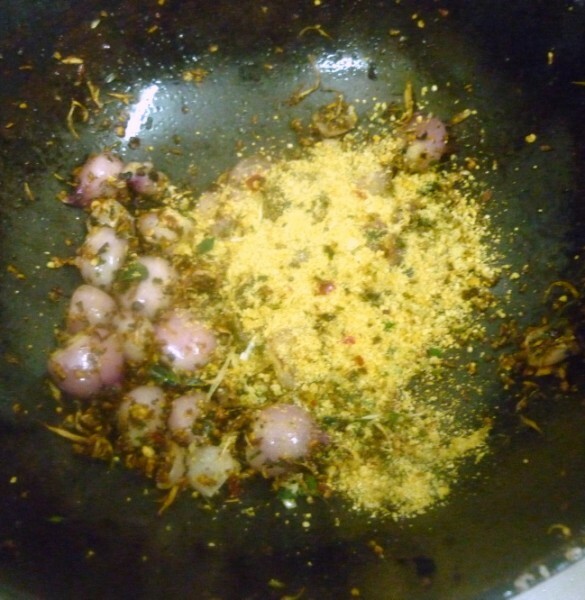 This turned out very tasty and with simple dal chutney, it made a delicious feast! 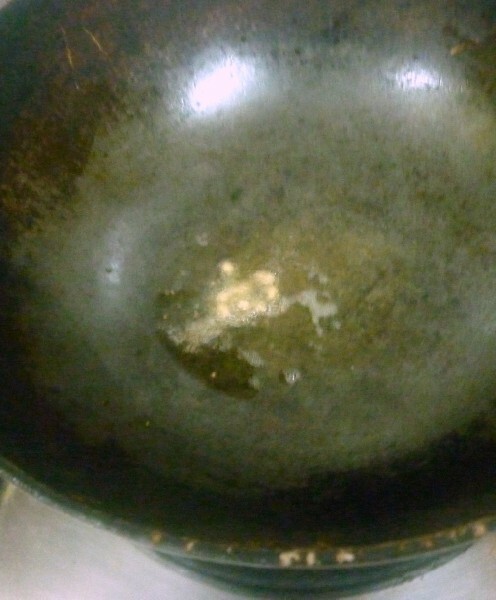 Wash and pressure cook dal till it’s soft. Microwave tomatoes till soft and keep it aside. Dry roast the dals and allow to cool. Then powder to a fine powder. Soak pearl onions and peel the skin. 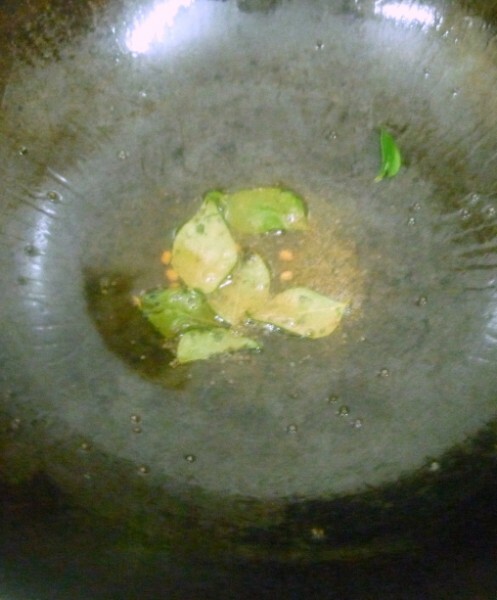 In a pan, heat ghee, temper with mustard, urad dal, curry leaves and hing. 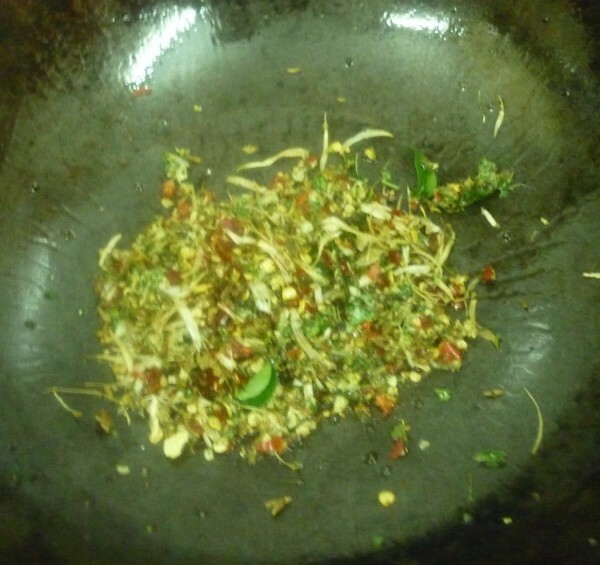 Then add the ground powder, saute well. 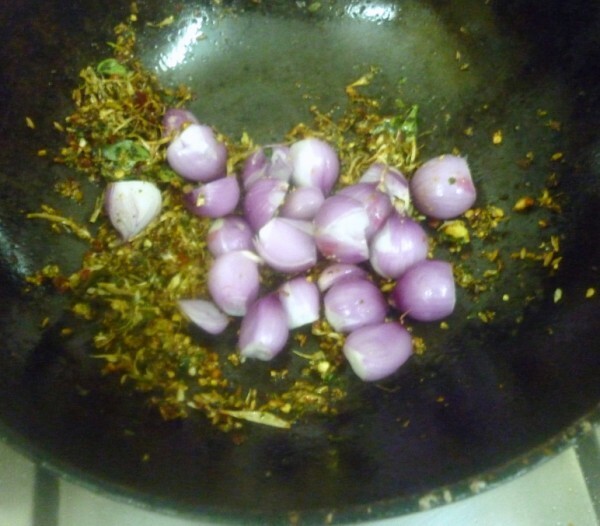 Then add the pearl onions and saute till they turn brown. Then add the dal powder. 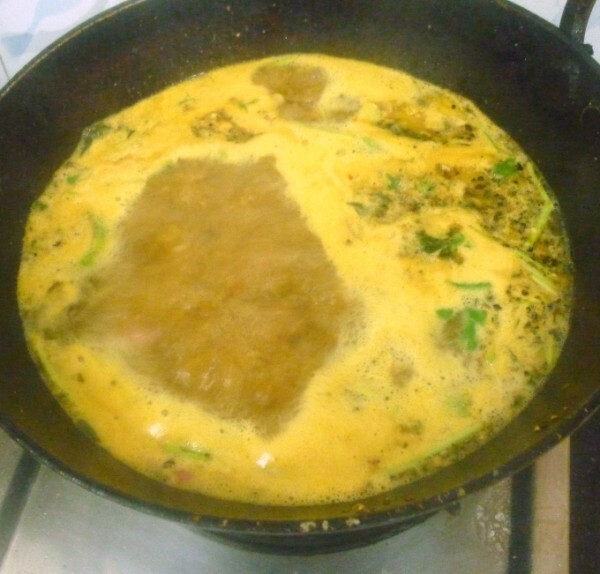 Finally add the dal water and coriander leaves, bring to boil. Once one boil, remove from gas. I love these little beauties..and I am sure by now u know Rasam is one of my fav among South cuisine..the combination of the two must have been wonderful!. 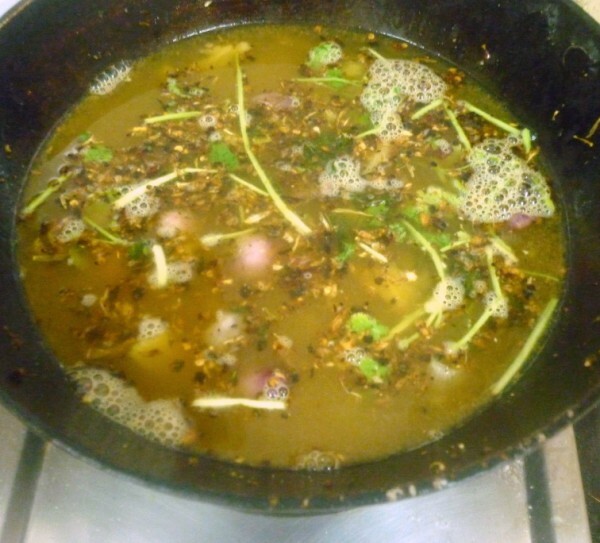 Love this fingerlicking and definitely a flavourful rasam..
loved your version of onion rasam, will try it sometime…entire spread looks very inviting!! 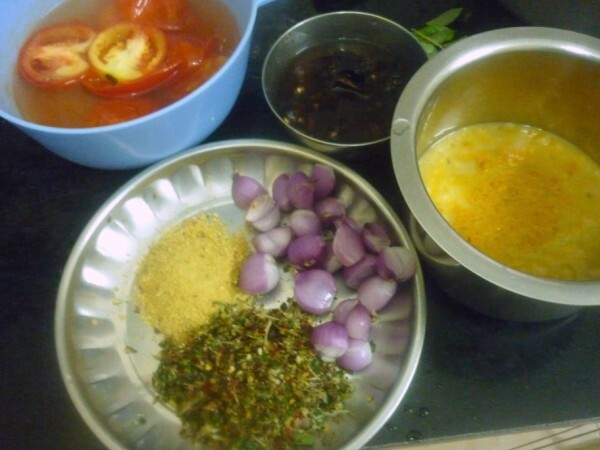 Even I've heard of onion rasam….I think I need to try it soon too! Looks super yummy. 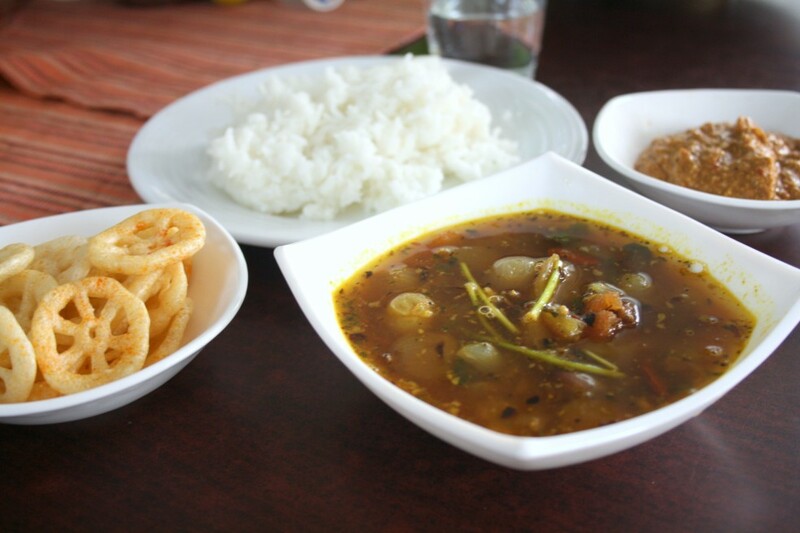 This is a totally new rasam for me (I know only two kinds, btw :D). Love this! 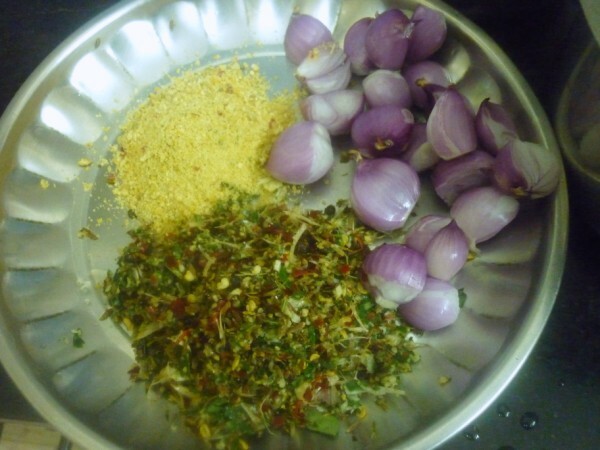 super delicious….having been to the land of idlies…now…i can only imagine how delicious this must be tasting…local idli sambhar or rasam wil never fascinate me anymore..
Never tried making rasam with onions…Loved the first picture..tempting click! 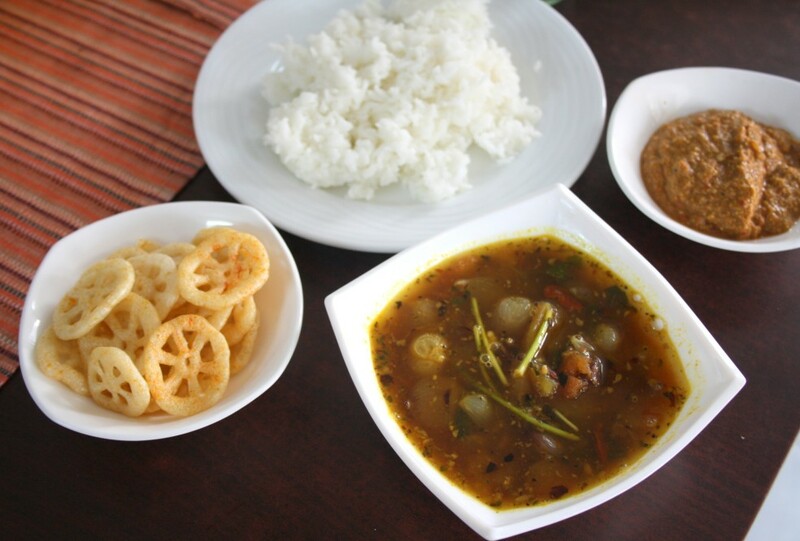 New to me, venga rasam looks delicious.